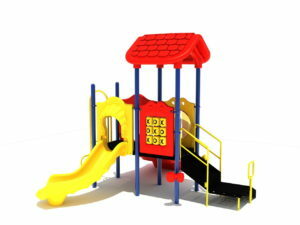 Product Use Zone:26' 3" x 39' 6"
This kooky play structure will make children giggle with delight as they play on it. 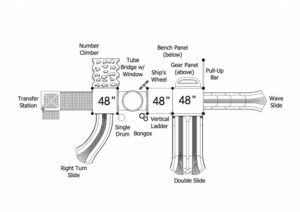 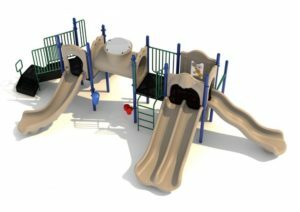 The Portland play structure is made up of three 48” square elevated platforms, two of which are connected by a tube bridge with a window. 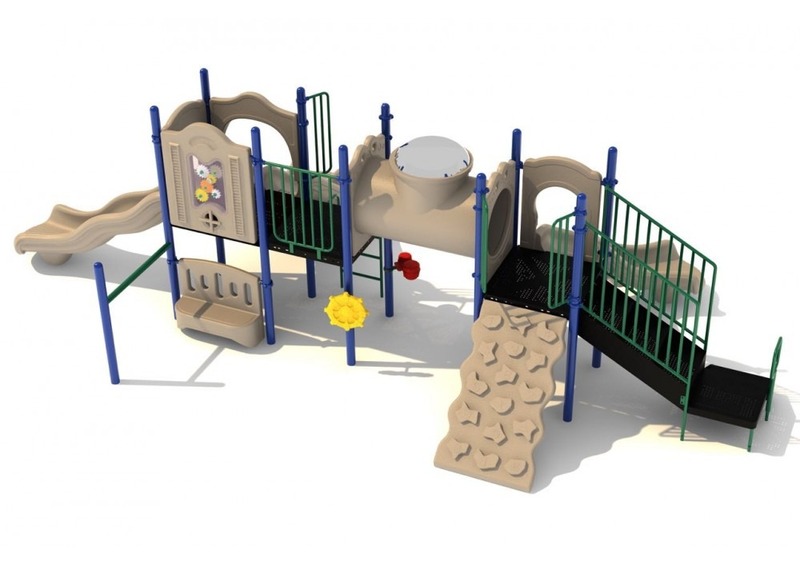 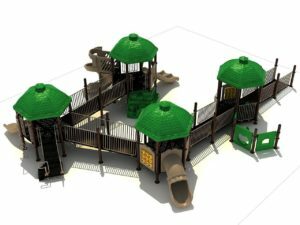 A number climber, a vertical ladder, and stairs give access to this play structure, and a right turn slide, a double slide, and a wave slide give an exit opportunity for children. 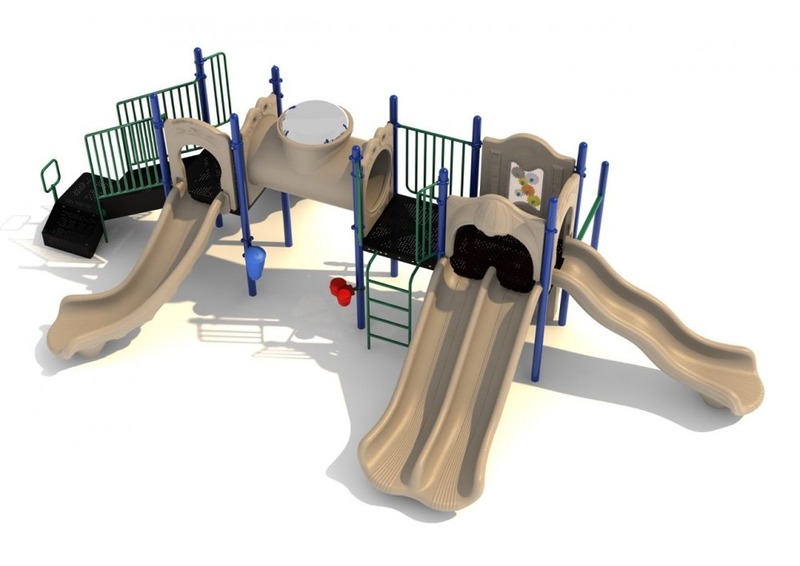 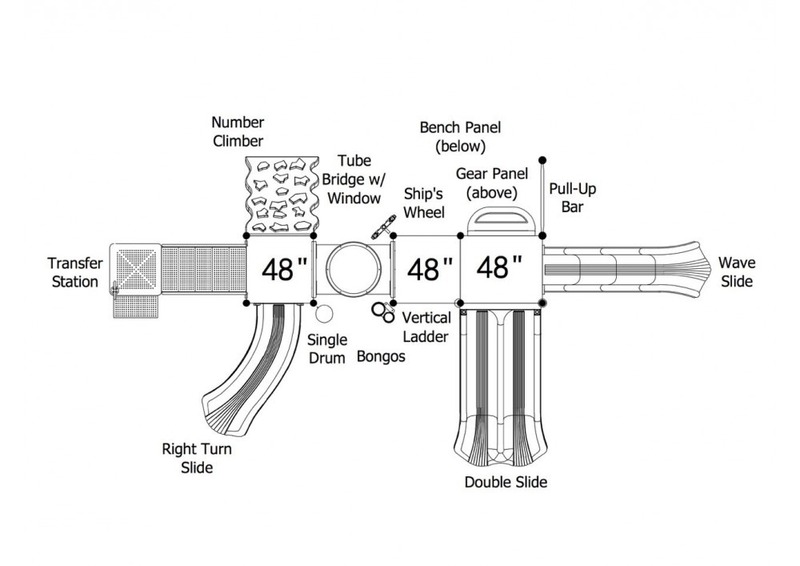 A gear panel attached to the upper level of one of the elevated platforms give children a chance to have fun with their hands, and a bench panel, a ship’s wheel, a single drum, a pull-up bar, and bongos give children opportunity for on ground play and make the Portland play structure ADA compliant. 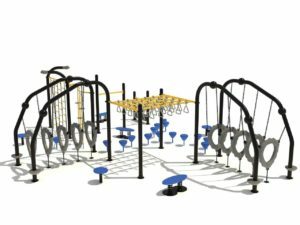 This play structure is designed for children who are between the ages of 2 and 12 years old, making it a fun play structure for all children.